15 January 2015. A new cause of chemical brain drain has emerged: Phthalates. These substances are industrial chemicals produced in large amounts for use as additives to multiple kinds of plastics and a variety of products, such as children’s toys, cosmetics, and medical equipment. We are all exposed to phthalates. 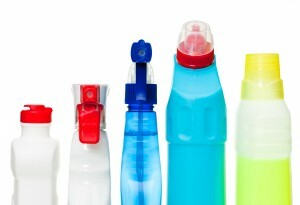 About a dozen of these chemicals are in common use, among them dibutylphthalate (DBP). While they add flexibility and durability to the materials, they are not bound to the plastics chemicals and may therefore leach, e.g., from food packaging materials. In the recent review, phthalates were considered potential brain drainers. The evidence has built up over several years, and a new study adds substantial weight. At 7 years of age, 328 children from New York City underwent IQ testing, and their results were compared with the mothers’ exposure to phthalates. The maternal exposure was determined from break-down products excreted in the urine during the pregnancies between 1998 and 2006. All mothers in the study were non-smokers, and the researchers controlled for a large number of risk factors. The children showed tendencies of deficient brain functions when the mother had been exposed to larger amounts of phthalates during pregnancy. At the highest urine levels of DBP and diisobutylphthalate, the children had IQ scores about 6 to 8 points lower than those of the children whose mothers had the lowest levels of those chemicals in their urine. Deficits were also found in regard to information processing speed, ability to understand nonverbal information and short-term memory. There are of course weaknesses and uncertainties, and the authors have been careful to control them as much as possible. Most importantly, the children’s prenatal phthalate exposure is known only from a single urine sample collected from the mothers during pregnancy. Excretion of phthalate break-down products is known to vary, so a single sample is not at all a precise measure of the child’s intake of these chemicals. However, this type of imprecision will generally cause an underestimation of the true effect. So it is surprising and very worrisome that the study was able to detect strong negative IQ effects – despite the incomplete information on the level of exposure. So this weakness in fact translates to an increased concern. Phthalates are not just potential brain drainers, they are also considered endocrine disruptors – they interfere with hormonal functions. For this reason, usage restrictions are currently being considered in the EU. Bans already exist for use in toys and textiles for children, and some phthalates are banned in cosmetics. Following pressure from EU member states, the EU Chemicals Agency (ECHA) is planning to control the phthalates as”substances of very high concern”, and the EU Commission is using additional mechanisms to limit exposures. As products containing phthalates are usually not labeled to this effect, advice to consumers are fairly general, such as avoiding microwaving food in plastic containers and not using scented personal products. Recyclable plastics labeled as 3, 6 or 7 may contain phthalates, and glass containers should be preferred. These pieces of advice and regulatory action may or may not be enough to bring down exposures to levels that are safe for the next generation’s brains. The trouble is, current research cannot provide this specific information. Action must be based on prudent consideration, given the uncertainties. Phthalate difficulties, phthrouble indeed.